Many business owners are reluctant to seek a professional web design service because they feel they don’t have the time or think it will cost too much. By investing a little time in understanding the pricing of web design and weighing the many benefits of the investment, can make a big difference in the growth rate of your business. 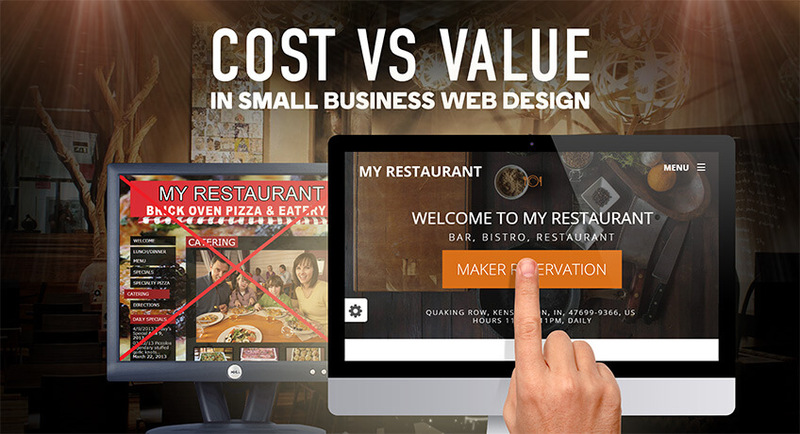 Let’s look at some very important website benefits that prove the real cost of business web design is not an invoice total, but rather how much of a long-term investment it is to your business. If the goal of your business website is to increase your client base, then your visitors must do what you want them to do. For that to happen, they must trust you. In the digital age of scams, schemes, and unsavory characters everywhere we look, trust doesn’t come easily. With the general attitudes of our visitors in mind, you must use web design psychology techniques to make your website more trust-worthy to the average visitor. Using a design and content language that puts visitors at ease means they are more likely to conduct business with you. An article on Harvard Business Review explains how creating value in a product or service is not necessarily about the product quality, but about the reputation and quality of the business. So, the cost of professional web design doesn’t even come close to the expense of hiring a public relations firm to do the same thing. 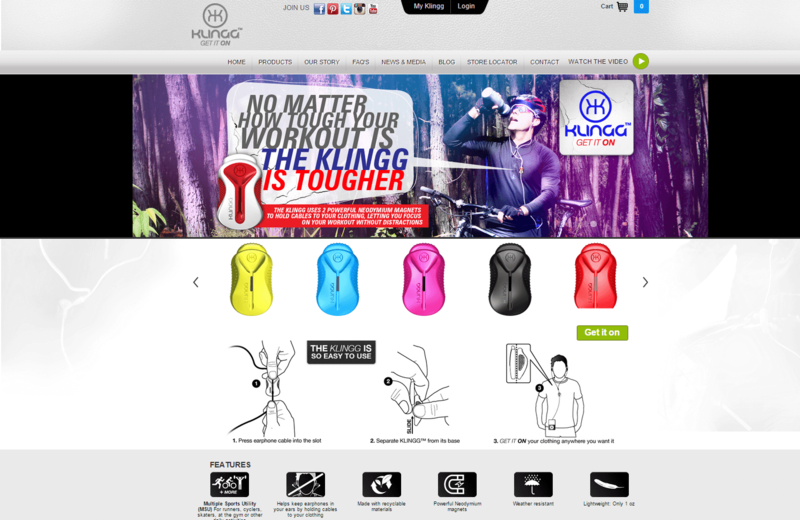 More like Uglywebsite.com, Websites like this still unfortunately exist. Instead of persuading customers to buy a tub, it does the opposite. A combination of poor images, mismatched fonts, and garish colours makes it seem this website was done on the paint program. Let’s not get us started on how the site is on a small window in the center of the screen. Would you ever trust this? Effective business web design will offer your company your hardest working employee, never getting sick, or taking a vacation. 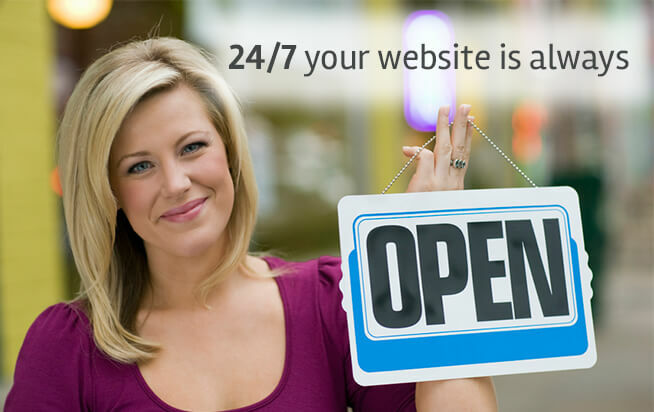 Your customers will always be able to obtain up-to-date information 24 hours a day, 7 days a week, 365 days a year. Instead of having to rely on randomly aired commercials, your potential customers can browse your website whenever they like. Even though you have an additional employee, there is no salary or benefits expense. No business can afford not to advertise. The problem is that most businesses can’t afford to spend thousands of dollars on a single ad. Traditional advertising campaigns are expensive and limited in how they can target your specific audience. You can spend a lot of money in getting your message to people who really don’t want to hear it. Many small and large business are replacing traditional marketing with inbound marketing and studies show that Search Engine Optimization (SEO) is one of the most affordable forms of advertising and produces an exceptionally high return on investment (ROI). A good first impression is one of the most important things in business and all businesses need a web presence in today’s digital age. The requirements for quality business web design should never be an afterthought, but a priority. Professional web design pricing is surprisingly affordable. At Absolute Web Services, we understand that effective business web design is critical to conducting business online and we never sacrifice functionality for fashion. Contact us today and let us show you how we can create a design that meets your objectives, looks amazing, and blows away your competition. Content Marketing is really the homerun for blogs or small business owenrs. I love visiting blogs that provide useful information. 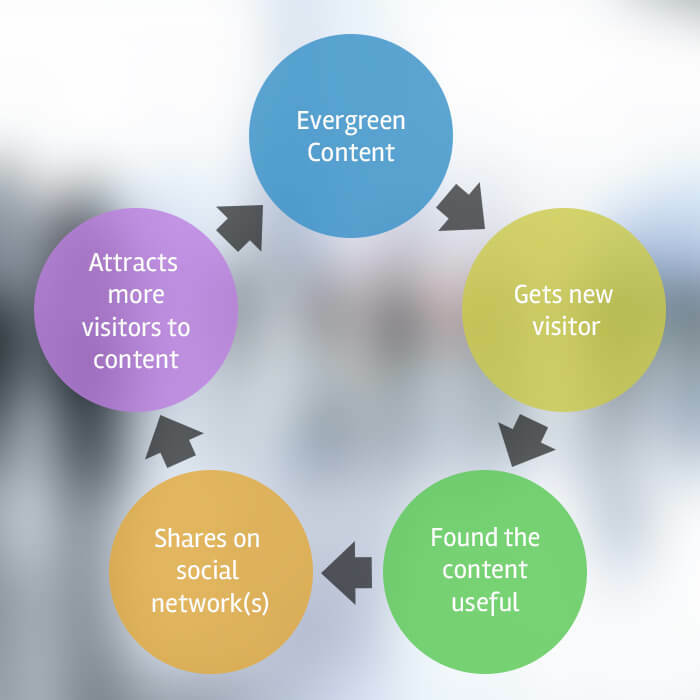 QuickSprout is an awesome blog to learn basic SEO for dummies and for marketers.